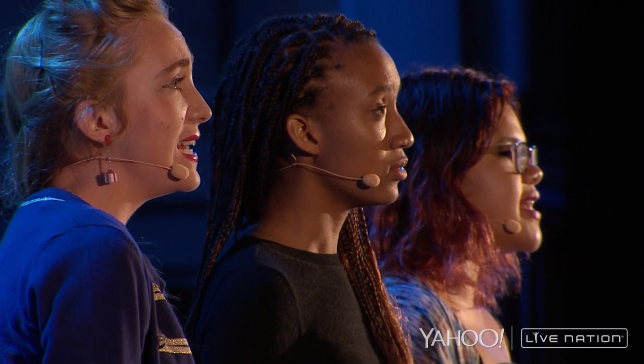 John Legend | Young poets light up Hollywood: Rhiannon McGavin, Zariya Allen, Belissa Escobedo — members of the Get Lit organization — deliver a powerful, poetic message to a sell-out crowd of over 17,000 at the Hollywood Bowl. Here is a PERMANENT link so you can watch our girls shine for years to come. This entry was posted in Uncategorized on September 9, 2014 by gbmcgavin.